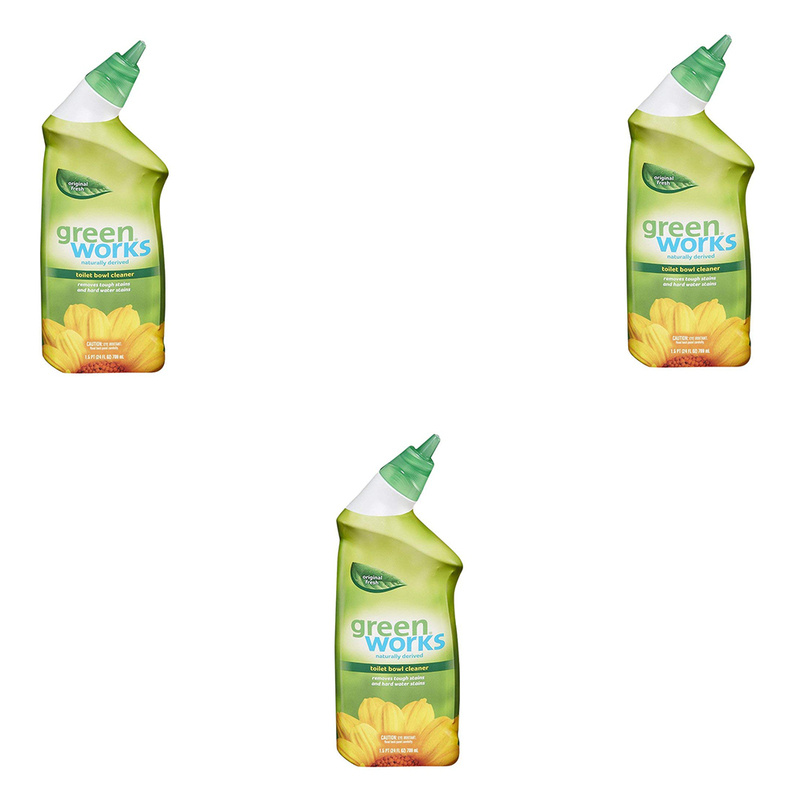 Green Works Toilet Bowl Cleaner combines powerful cleaning performance with naturally derived and plant-based ingredients, to cut through even the most stubborn stains. Its powerful formula removes rust, hard water stains and mineral deposits without any harsh chemical fumes or residue. The thick gel coats the toilet bowl and cuts right through dirt, leaving the bowl clean and smelling fresh. The angled spout is specially designed to target hard to reach areas under the rim, making it quick and easy to clean. It contains no bleach and its safe for septic systems. Powerful cleaning done naturally with Green Works naturally derived cleaning products. • Powerful gel formula removes rust, mineral deposits and hard water stains. • Cleans better than Clorox Toilet Bowl cleaner with bleach on rust and hard water stains. • Weight: 24 Oz. Dimensions: 20.3 x 13.5 x 28.1 cm. • Naturally derived, contains no bleach and is safe for septic systems.Powerful cleaning done naturally. • This is the combo pack of 3 products.